Acrylic paint comes in a tube, just like oil paint. However, since acrylic paint is water-based meaning it dissolves in water instead of oil-based meaning you need to dissolve it in oil or turpentine, it’s much easier to clean up after. You can soak your brushes and clean your hands in plain tap water, instead of smelly and flammable chemicals. Another advantage to acrylic paint is that it dries much faster than oil paint usually overnight. If you’re working on a painting that needs to be done on time, that’s important. Acrylic paint was developed as a water-based alternative to traditional oil paints. 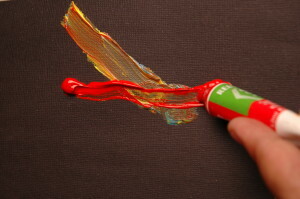 Acrylic paints can be diluted with water, but become water-resistant when dry. Depending on how much the paint is diluted with water, the finished painting can resemble a watercolor or an oil painting. Acrylic paint is a fast-drying paint containing pigment suspended in an acrylic polymer resin. Different from oil painting as watercolor is different from oil painting. There are techniques, which are available only to acrylic painters, and there are also restrictions, which are unique to acrylic painting. Acrylic paints can achieve an oil-paint-like effect, and do so in much less time. Applied to look like oil paints, acrylics are somewhat limited due to the superior color range of oil paints, and the fact that acrylic dry to a shiny, smooth. Acrylics paints are sometimes used in place of watercolors because acrylics dry closer to the desired color slightly darker, usually, while watercolors dry lighter and often unpredictably, especially for beginning artists.